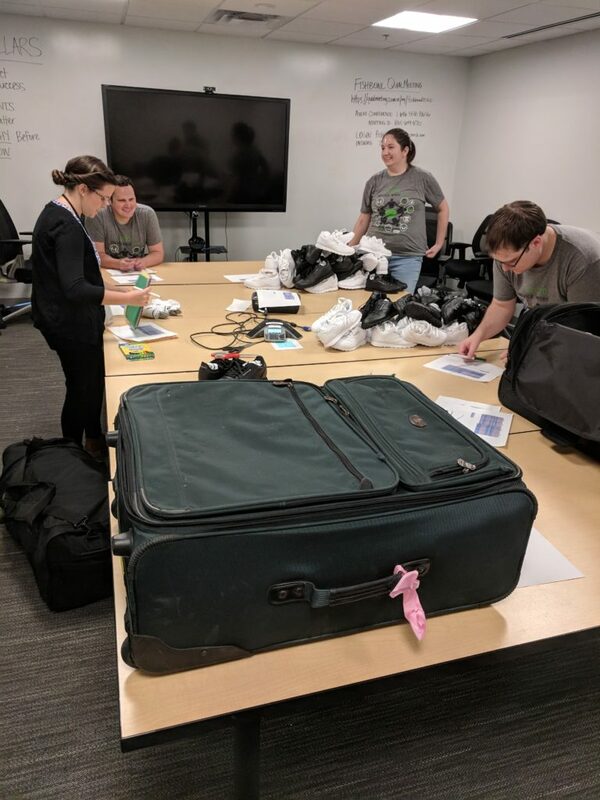 Every year, 20|20 Research company participates in a service week, where they focus their efforts on “Doing Good” and serving local non-profits throughout the Nashville community. As Jim Bryson, founder and CEO of 20|20, is also the founder of The Joseph School, they spent this past Monday volunteering at TJS– and we are so grateful that they did. 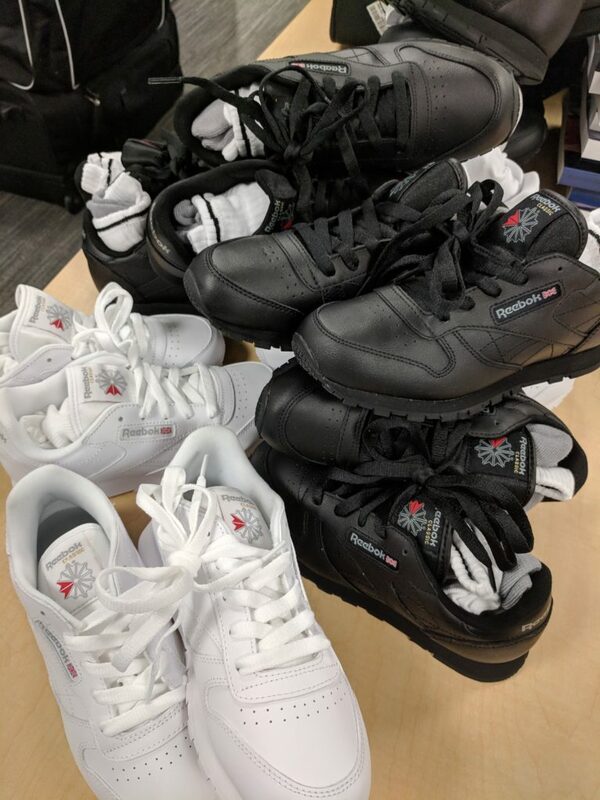 Alone, they were able to organize, group and bag shoes and curriculum for all 119 students the year. They also made Welcome to the 2018 School Year cards for the new first graders. 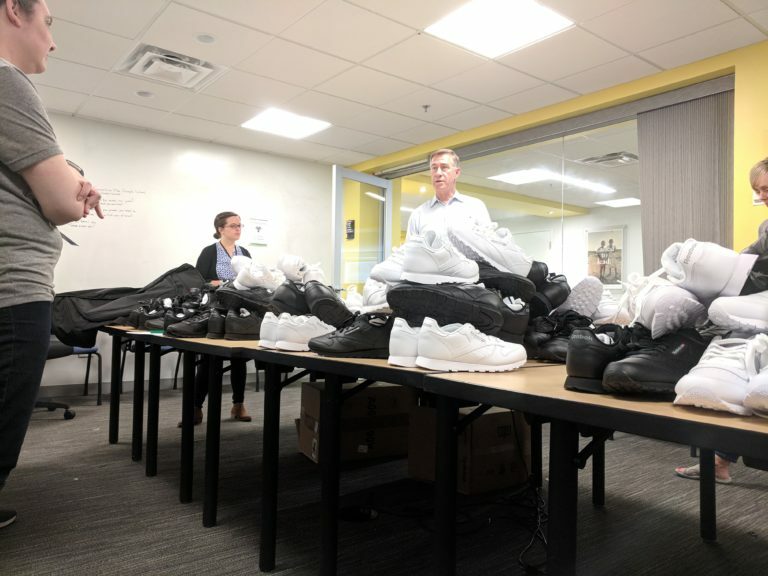 Last year, 20|20’s team also helped bag uniforms and shoes, but we’re very excited to have the uniforms made in Haiti this year — creating less US expenses and jobs in Haiti, instead. We’re five days away from our fourth school year at The Joseph School. Please pray for our second team heading to Haiti this weekend, with multiple bags in tow. Pray for our teachers, staff, students and their families. We thank 20|20 for their incredible help this week, and we thank YOU for being a part of this journey. 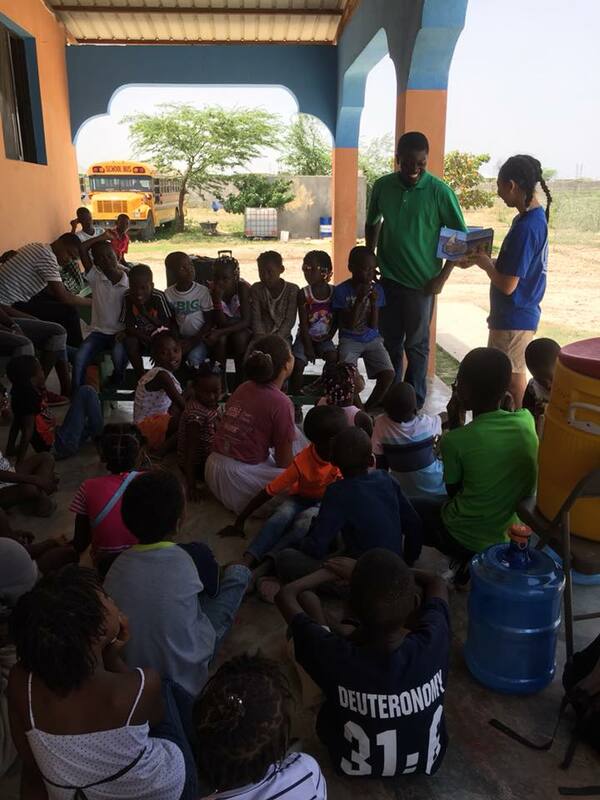 While a sharp spike in fuel prices sparked turmoil, devastation, and a political crisis in Haiti, Houston Baptist University was serving our students with hope, joy, and discipleship. 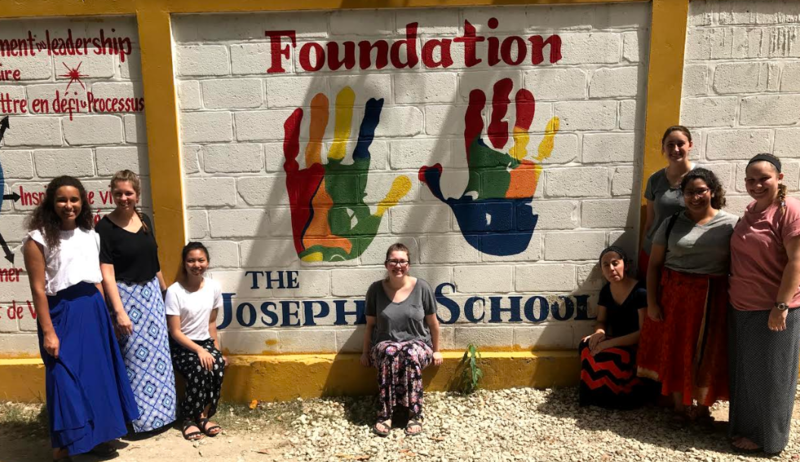 Despite the unrest that was enveloping Haiti, they humbly painted our clinic, provided toiletries and vitamins to students, and treated all members of The Joseph School with respect. While these deliberations were incredibly helpful, perhaps the largest contribution this group made to our school was the Vacation Bible School that they ran. In their multi-day VBS, they taught, loved, and demonstrated servant leadership in its most raw form. As these college students changed our students’ minds and hearts, The Joseph School also left an indelible mark on these volunteers. 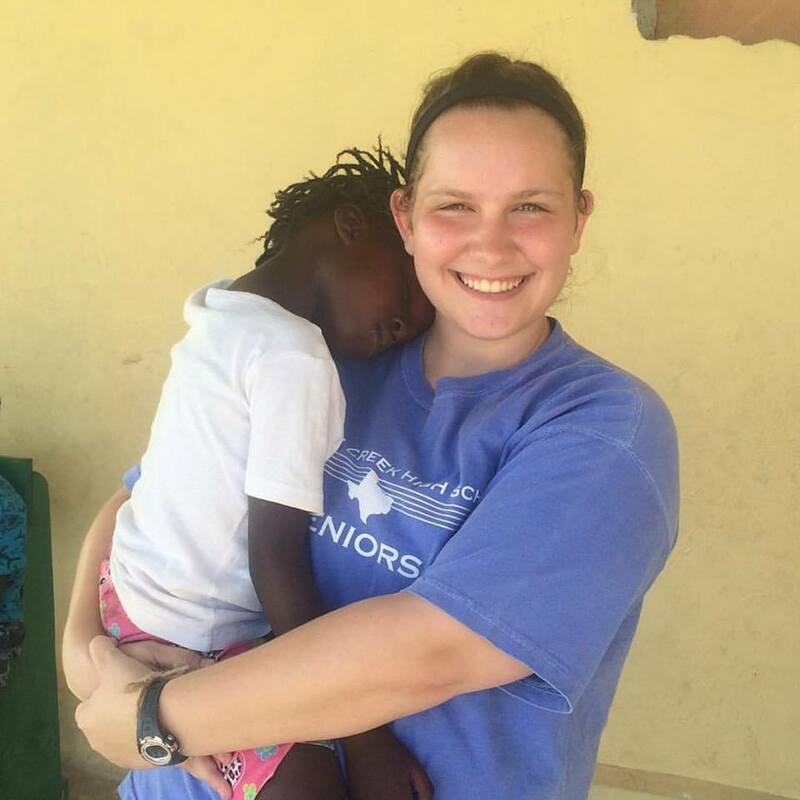 As the volunteers themselves can best speak on their personal experiences, we have featured a testimony below from Lauren Butler, one of the travelers on the trip, who is pictured below. “This was my third time coming back to Haiti and working with The Joseph School, and it seems like each trip is better than the last! This was my first time taking a group through my school, Houston Baptist University, and it was so cool to come with them this year! We expected to love and serve those around us, but everyone that we encountered loved and served us. Everyone we met was so kind towards us and full of joy that you can’t help but keep a smile on your face! Thanks, Lauren, for your inspiring words. We are so grateful for all that the HBU team has done for The Joseph School, and pray that our mission will continue to guide your servant hearts.